COMMENTS: I make body butter with this scent, it has become a big seller! So sweet and buttery, also great for blending custom scents! COMMENTS: I mix this with the honey and almond for a honey butter scent on my line and my clients love it! COMMENTS: This fragrance smells just like cake icing. Behaves well in the body butter I use it in and has become a popular addition for my line. COMMENTS: Worked great in lotion bars. No discoloration, but I didn't use it in cp soap. Would probably need Vanilla Stablizer. Smells heavenly!! COMMENTS: Yummy. I love mixing it with other fos. Perfect balance. COMMENTS: OMG!!! This smells (to me) just like Jacqua's Buttercream Frosting lotion!!! I am soooo super happy with the outstanding fragrance!!! I will ALWAYS keep this in my stock!!! COMMENTS: Make bath bomb cupcakes using this fragrance and had to hide from grandkids. They wanted to eat them up!! Made my kitchen smell wonderful, like I had actually made a cake. This was a winner with old and young alike in my home. COMMENTS: You really can't go wrong with this scent, if you're looking for a sweet, heavy, vanilla buttercream, you've found it here! Great on its own or in addition to other scents to create a sweet blend. "This fragrance is very weak"
COMMENTS: This scent is very weak in soy candles. COMMENTS: I like to use this scent alone and to smooth out other fragrances. "not sure about this one"
COMMENTS: I was really excited about this fragrance oil. I used this in a cold process loaf and added sprinkles to the top. In the bottle the smell seemed to smell very chemically or like alcohol. It would be great if it didnt have that strong chemical smell, but I just dont love it. I am hoping it lets up a little bit during the curing process. "Just Like Frosting But Better "
COMMENTS: So rich + yummy ! Im loving everything I ordered. Great quality ! COMMENTS: Not my favorite scent. A little to chemically for me but my husband likes it so all is not lost. This fragrance just isn't my favorite. COMMENTS: As a soap maker and a cake decorator I find this scent very true to scent however as a soap maker I found it diluted quickly so I mixed it with strawberry and champagne scent to make a smell that would hold up in the bar like I like the scent to. Very nice scent and very usable as an additive to any scent to make it a little sweeter, however not one of my favorite stand alone scents once in a soap bar. In lotion it was lovely!!!! COMMENTS: I had to reorder a 16oz bottle I have used so much of this FO! It's great on it's own, and great to blend with birthday cake, sweet pumpkin, Lavender, so many options! Love it! "A must on my shelf! " COMMENTS: This scent is delicious! Just as it is, but it is a go to when I need to mix up my scents that are left over. I will add my regular scent with this fragrance and the finished scent is delicious too! I must keep this oil on hand at all times! COMMENTS: This smells like I scooped off a forkful of vanilla frosting off of a white cake. Amazingly sweet and heavenly. No negative feedback from friends, family or customers, and my lotions sell out every time. 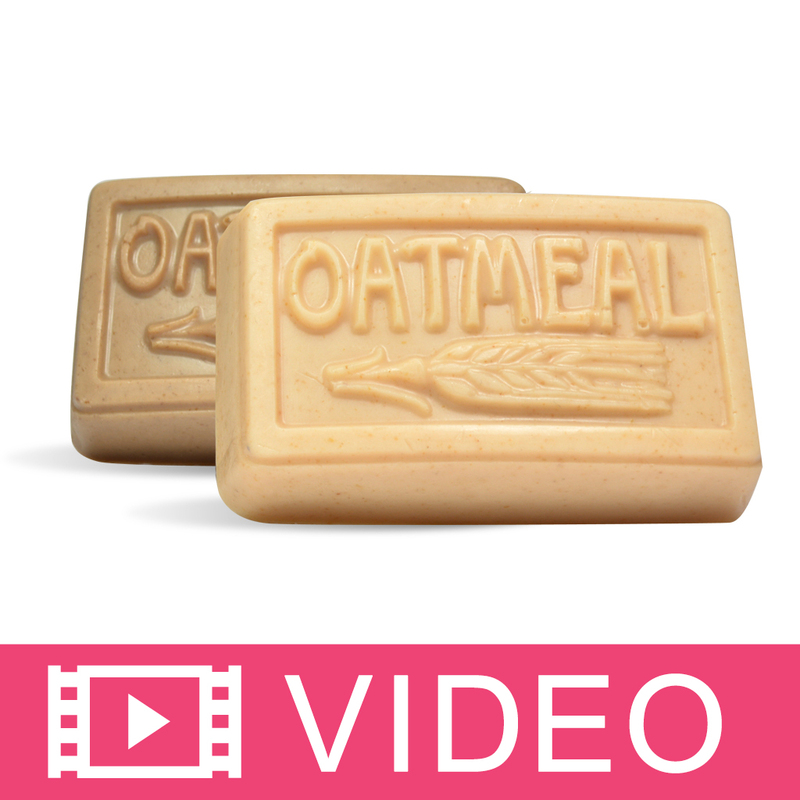 COMMENTS: This smells like a birthday party and works great in artisan soaps & bath products. Has a nice feel and works well to fragrance handmade bath products. COMMENTS: This is a wonderful vanilla smell, my customers love it. Definitely smells like fresh baked cookies and its great. Absolutely must use the stabilizer with it! Will turn products brown very fast. COMMENTS: This smells soooooo good, just like real buttercream! "Not a buttercream fragrance "
COMMENTS: I just received my order and am truly disappointed in this fragrance. It is a very light scent without the sweet,rich vanilla scent that another vendor carries. This one seems to be a very thin and "watered down" version of what I am used to . I Love WSP but I won't buy this fragrance again. COMMENTS: I purchased this based on the glowing reviews and a sample I received- I couldn't be more disappointed. This is not a vanilla buttercream fragrance! There is a serious chemical, dark roasted type aroma that remains on the skin, nothing sweet or vanilla like at all. The sample I received must have been a different scent packaged under this name, it's nothing alike. Now I have 4 bottles of fragrance that I cannot use!! I am very dissatisfied and even more so since WSP doesn't allow fragrance returns. This is the first fragrance that I absolutely hate, its so unfortunate. If you are looking for a sweet, cake like vanilla buttercream DO NOT PURCHASE THIS!! COMMENTS: Little too sweet straight but I love it blended with other fragrances. "My Favorite & Best Selling Scent"
COMMENTS: I've purchased gallons of this over the years of being a WSP customer! I've used it in lotions, Melt & Pour soap, bath fizzies, and CP and HP soap. I usually blend it with Oatmeal Milk & Honey to deepen the vanilla scent. Customers love it! COMMENTS: Smells just like vanilla buttercream when used in body butter. In CP soap it changes slightly but still smells pretty good. One month after curing the scent is much more faint but still present. I'm not sure if I'll order again, no interest so far in this soap. I used 6% fo for my recipe. No acceleration or ricing. Plenty of discoloration (dark brown) but that was expected. I enjoy it, just not others so far. COMMENTS: i expected something more sweet or ice-cream kind of fragrance, but not so. There's an accent of butter-scotch scent though, but it's overpowered by some strong musky smell of raw vanilla stick (not the sweet vanilla flavour). Not my favourite at all. I just might have to mix it with some other Scent, or just use for men's soap. COMMENTS: Smells lovely. And Sweet. I like it. COMMENTS: I like it, it smells just like the description. COMMENTS: Love, love, love this scent! I'm a vanilla fanatic! I actually prefer THIS scent to straight vanilla, it's got the added creamy smell! 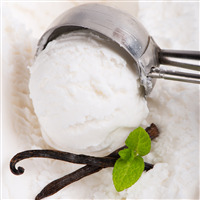 If you love vanilla, try it...you'll love it! COMMENTS: I mix this with one of the lemon scents in my cp soap and it gives it a very nice creamy lemony scent. Love the way it turns out. COMMENTS: This is a nice vanilla scent. It doesn't have a powdery smell like some vanillas can, and the buttercream gives it a nice richness. Does not accelerate trace, and darkens to a nice rich brown without a vanilla stabilizer. It's a great seller. COMMENTS: This is a nice rich vanilla scent. My only wish is that it had a bit stronger vanilla and a little less buttercream but over all good. COMMENTS: The vanilla and butter are strong right off the bat out of the bottle and good when mixed with other fragrances. I used this in a "buttered foaming bath bomb" with the purely peppermint fragrance oil and it is divine! The scent stays even with the combining of the mint and using cocoa butter in the bomb. I cant wait to make other products with it! COMMENTS: This scent is so comforting and simply delicious!! You really cannot go wrong in purchasing this fragrance oil. I am so going to use this on my body butters and perhaps sugar scrubs and bath bombs! It is endless on such a wonderful fragrance! COMMENTS: WARNING,this is not food. That's how good it smells!!!! COMMENTS: Not my favorite but still good. I was looking for that buttercream sugary cake frosting smell. Everyone smells different. I smell more vanilla then anything else. COMMENTS: This vanilla buttercream smell awesome, I do want to eat it. But,the only thing is that discolors, so vanilla stabilizer is needed. I will buy this fragrance again. COMMENTS: I had a special request for buttercream fragrangrance oil for a customer. She loved it. COMMENTS: I will definitely order this fragrance again! It's so lovely!! COMMENTS: A lovely scent. Smells close to butter pecan. COMMENTS: This scent was very overpowering right out of the bottle so I was reluctant to use it. However, I am glad I did. I used it in a lotion base and the smell is wonderful. It blended well into the lotion base and the scent ended up being a mild buttery vanilla aroma. COMMENTS: Smells delicious. The vanilla in it will turn your soap to a dark brown color in CP soap though. COMMENTS: This Vanilla Buttercream fragrance smells so good right out of the bottle. I used it in a lovely CP soap with layers of chocolate and strawberry for a Neopolitan look and fragrance. COMMENTS: Very happy with this creamy vanilla scent. Especially nice in my vanilla cocoa butter bath bombs. COMMENTS: This is hands down my favorite FO. 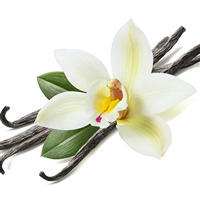 I am a vanilla lover to begin with and this is such a rich, sweet, creamy type vanilla scent. YUM! "very creamy but only after....."
COMMENTS: Very creamy but only after..... its been mix in well and allowed to rest. dont over use fragrance, it can be a tad bit strong. End results was nice and vanilla butter creamy! COMMENTS: Smells like frosting. This is my best fragrance for my Whipped She Butter. LOVE IT!!!! COMMENTS: Smells just like vanilla buttercream! Used for cupcake soaps! Make sure you use vanilla color stabilizer! COMMENTS: I want to eat this!! Mixes well with other scents! COMMENTS: This smells like lovely vanilla marshmallows. It smells lovely in MP soap and only fades a little. It WILL turn soap brown, so a vanilla stabilizer is recommended. COMMENTS: Very nice, mild vanilla scent. Not too overpowering as some vanillas can be. Stayed strong sfter curing....will buy again! COMMENTS: Not only is this a yummy scent as is it mixes well with most any other scent! COMMENTS: This is a great one to mix with others scents or to use alone. "Best I have used yet!" "The Jury Is Still Out"
COMMENTS: Honestly I like the scent my only complaint is that it doesn't smell like vanilla buttercream, but more like vanilla almond--really I should say a nutty vanilla! On top you get a nice nutty vanilla that drys down kind of sweet but not too sweet. Not what I was looking for but customers like it so I will reorder. COMMENTS: A luscious scent for candles. Excellent cold and hot throw. Can't wait to try this in soap! COMMENTS: I've used the Vanilla Buttercream FO for almost a year now and love the scent and versatility. I originally purchased this fragrance to pair with other scents to create fun and unique blends, but I only recently realized what a wonderful seller this can be as a stand-alone scent. My customers absolutely love it in lotions and my soy candles! True to its name, it smells like vanilla buttercream and every time I make a batch of something with this fragrance, my whole house smells like a delicious bakery! Both adults and children love this scent and I've even had adults purchase my kid's line of lotions for themselves because they like it so much. COMMENTS: In my opinion, this product smells does not smell like vanilla or buttercream. It has a chemical smell to me. I will not purchase this oil again. COMMENTS: was very pleased with the smell of this oil. Great to cut and compliment other oils and strong and pleasant smelling enough to stand on its own. COMMENTS: Smells just like frosting. Only downfall is it makes me hungry every timei smell it!!! COMMENTS: I don't know if I will ever find the exact buttercream fragrance I want, this was close. There is a certain candle company that hits the nail on the head and I want to replicate that scent. This buttercream is almost there!. COMMENTS: Just like it is described! This is a perfect match! It is one of my more popular scents! COMMENTS: such a true to scent fragrance!! highly recommend!! COMMENTS: Wow! I absolutely love this FO. It is amazing. I ordered only 2 ounces for a test batch so I can figure out the discoloration thing since I had never worked with vanilla before and I was shocked at how strong it was. I only used ONE OUNCE IN A THREE pound batch and it still (4 months later) is amazingly strong in my soaps. LOVE THIS FO. COMMENTS: This is a very nice scent I mixed it with a grape fruit and think it would go great with any fruit scent it reminds me of cup cakes. COMMENTS: This fragrance is wonderful. It is a sweet but not too sweet yummy delight. It is great in creams and lotion bars. In soap it discolors to a light brown but I think it goes well with the smell. It makes a beautiful color when paired with a gold mica glitter. COMMENTS: Forgot to add my VS, but it worked with the chocolate cupcake bottoms and chocolate sprinkles. "Perfect name for this fragrance oil!" COMMENTS: What a delightful scent - true to name! "Perfect for a variety of products"
COMMENTS: Love this scent, we are going to offer it in about every product we have available. COMMENTS: I LOVE this fragrance oil. It smells sooooo good! It really smells like vanilla buttercream frosting. Highly recommend if you are on the search for an awesome vanilla fragrance oil!! COMMENTS: I have been adding this scent along with chocolate to my bath bombs. It is really easy to work with and smells so delicious that I have to hide my "treats" or I will crave cupcakes all day (and I really don't like cupcakes - though this may have changed my mind). I would highly suggest this fragrance. COMMENTS: I used this in a couple of butter mixtures and a little goes a long way! People love this scent when I add just a couple of drops to my butter mixture because it's not overpowering! COMMENTS: I don't like Vanilla myself but this is another one of my customers favorite fragrances! I have purchased other Vanilla fragrances from other companies in the past and have found that they all have a chemical smell to them. 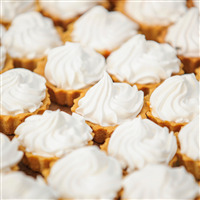 This fragrance has a rich buttery vanilla fragrance that many people just want to eat! COMMENTS: If you're looking for vanilla buttercream, look no further. Easy to work with in CP. It discolors of course, due to the vanilla. I added titanium dioxide to part of the batch for a yummy looking swirl. The uncolored portion is the color of hot cocoa. I also mixed this with some peppermint EO and it is fantastic, especially for a holiday soap. COMMENTS: I love this FO. I use it on my cupcake soaps to fragrance the frosting and it's the PERFECT compliment to my blueberry muffin, and other baked foodie scents. I leave the frosting white and it doesn't discolor, it maybe turns a shade of honey color but barely noticeable. My customers love it and my house smells amazing when I work with this fragrance. • A lot goes a long way! COMMENTS: This smells just like cake frosting. This is the most requested fragrance in lotions and soaps, always sell out. Works well in cp soaps, turning them a dark brown. COMMENTS: such a rich and creamy vanilla. 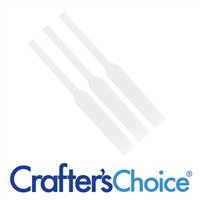 I needed this for my sweet treat lines and held up well in everything that I created with it! It is very sweet, and a little goes a long way! COMMENTS: I've tried every vanilla. This is the best vanilla scent. COMMENTS: This smells very nice. It doesn't take much for whatever you are adding this scent to. I made a batch of salt scrubs with it and my whole house smelled like I had just made a vanilla cake! It's yummy smelling! COMMENTS: I've tried about every vanilla, in fact, if I could call my shop "The Vanilla Body Shop" without it being limiting, I would! This is the absolute best vanilla scent around. Made some for my daughter, she wore it to work and all the girls there started asking for it. After awhile I told her "You better start charging for it!" Thanks for a great vanilla scent. 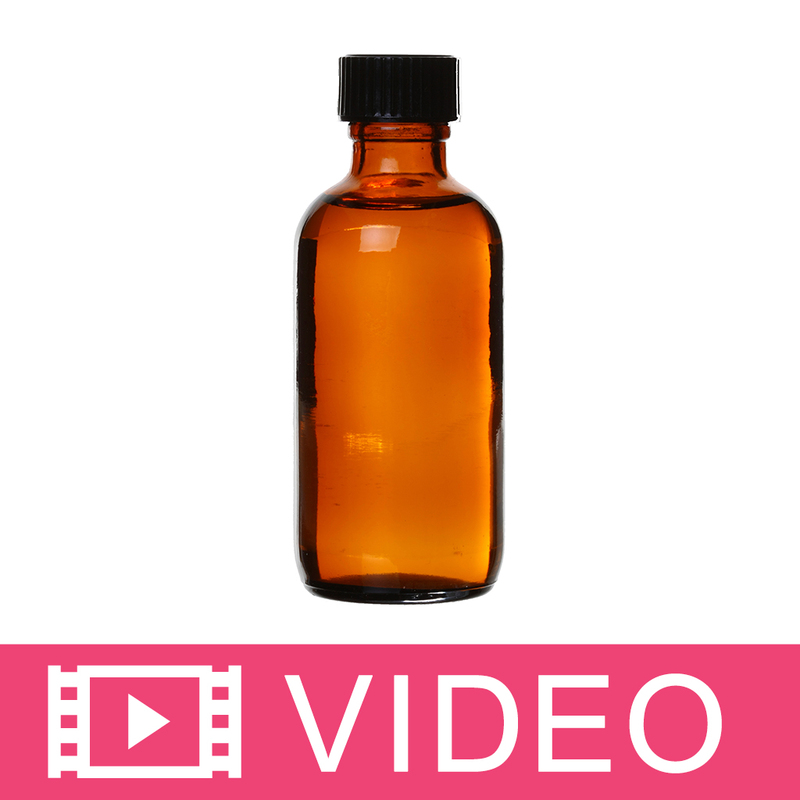 COMMENTS: Wonderful fragrance oil...makes a wonderful scent for my soaps. Simply love it! COMMENTS: This is my favorite vanilla fragrance. I've used it in sprays, lotions, soaps and even in our oil burner. It's a very buttery vanilla scent. It does turn products brown, but that has never detracted from the quality. COMMENTS: All my customers love this scent! They can't seem to get enough of it! COMMENTS: I made a whipped body butter with this and everyone thinks its frosting!! it literally smells like the real thing! one of my best selling body butters everyone asks if its edible!! my brother thought it was actually a jar of frosting i was trying to give him!! • smells good enough to eat! COMMENTS: This is a new addition to my fragrance line. My customers love it! COMMENTS: One of my top selling fragrances. Good enough to eat! "So popular! 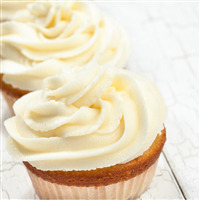 Smells just like cupcakes"
COMMENTS: This is by far one of our top five customer favorites. It really smells like buttercream, and not just a vanilla frosting. Really nice rich butter notes, just the right amount of vanilla, and just the right amount of sweet. Our customers say it reminds them of a fancy bakery cupcake, and we can't keep it in stock in ANY product line! I end up buying more of this with every order. Truly fabulous! COMMENTS: This is an awesome vanilla fragrance. Smells like you want to take a bite out of the soap! But make sure you use your vanilla stabilizer, this does turn brown and fairly quickly too. But I make some soaps that I WANT to turn brown or caramel color so it works really well! COMMENTS: This is strong and buttery! Mixes great with other scents. I'm never out of this one! I've tried others but I came right back to this one! COMMENTS: Smells and performs wonderful in CP soap. This has been a really good seller. COMMENTS: Oh my goodness!!!!! I special ordered this for a customer but I absolutely love it!!!! Talk about a great smell: WOW!!! I am going to put this in lotion too. I know it will be a hit!! I would give this a higher rating if possible!!!! YOU WON'T BE SORRY IF YOU BUY THIS!!! COMMENTS: I've tried so many different Buttercream scents and this is by far the best! I use this in so many different M&P soaps and customers can't get enough! Love it! 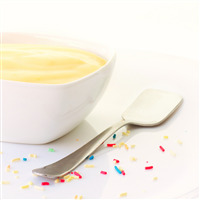 COMMENTS: Positively the best vanilla buttercream that I've indulged in. Retains its fragrance description while capturing its scent in all product that I've created. I made a moisturizing mist of of sweet citruses with this vanilla buttercream and young guys were smitten with it...for themselves! This is a staple in my lab and I absolutely am blown away but all that WSP has to offer its clients. Another huuuuge winner from team WSP. Thank you for a perfected very vanilla butterylicious buttercream!! COMMENTS: This is wonderful!! Smells like a bakery!! Perfect for cupcake soaps!! Yummo!! COMMENTS: That thick vanilla buttercream icing you put on a cake, this is it. It's too sickly sweet smelling for me but customers love it. The few jars I had of this sold out within 5 minutes. COMMENTS: This is the best vanilla on the market. COMMENTS: This has a GREAT throw in candles. Everyone loves it! Smells exactly as titled! Thank you. COMMENTS: THIS IS A GREAT SMELL AND SELLS WELL..IT SMELLS SOOOOO WONDERFUL IF YOU MIX JUST A LITTLE "SUGAR COOKIE" FO WITH IT..A SMELL TO DIE FOR!! COMMENTS: This smells more like butterscotch, but it has a very stong staying power. I love this. COMMENTS: "Money in the bank!" is what my business partner said when this order came in! Use in M&P, GREAT staying power! Freshens the whole building while soaping it! COMMENTS: Strong in soy, I love it. COMMENTS: This smells to me like a vanilla with some bakery or butterscotchy notes, and smells divine in lotions and scrubs. COMMENTS: I think it smells like buttercream frosting for sure. It is sooo good and I find it lasts a long time in bath/perfume oils. Longer than you would think. COMMENTS: THIS FO MIXED WITH SOME COCOA BUTTER & HEAD TO TOE LOTION IS SWEET. IT HAS A SWEET & LIGHT BUTTERY-LEMON SMELL. NOT SURE WHY THE LEMON-Y SMELL, BUT REST ASSURE IT IS A DELICIOUS, LIGHT, SWEET, & REFRESHING SMELL. COMMENTS: This is my top seller and I often get new customers who have had gifts given to them with this candle scent! Also great marketed under the name of "birthday cake" or "wedding cake". 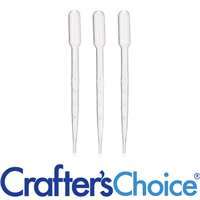 Mix well though, this is a heavy FO; I only need 1 oz per # wax for superior throw! COMMENTS: This is a favorite with customers! COMMENTS: I love this Vanilla! Tt's so sweet and buttery that it does remind me of that yummy Vanilla Buttercream Frosting that I love on a yummy slice of cake. I love a deep and rich Vanilla that smells good enough to eat and this is it! I used this in my soap products and the scent lingers beautifully! "OMG! This is sooo nice!" COMMENTS: I can't keep enough of this fragrance on-hand! Best seller in our store! COMMENTS: I love this scent in soy. Smells just like vanilla icing! "I want to make a whipped sugar scrub using Vanilla Buttercream f.o. How much vanilla volor stabilizer should be used?" 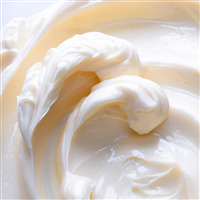 Staff Answer Vanilla Buttercream Fragrance Oil contains 15% vanilla. You will want to mix equal parts of both the fragrance and stabilizer before adding to your product. "Do I need to use a vanilla stabilizer when using this fragrance in a lotion?" Staff Answer Great question! Due to the Vanilla content in this fragrance (15%), it will discolor your lotion. 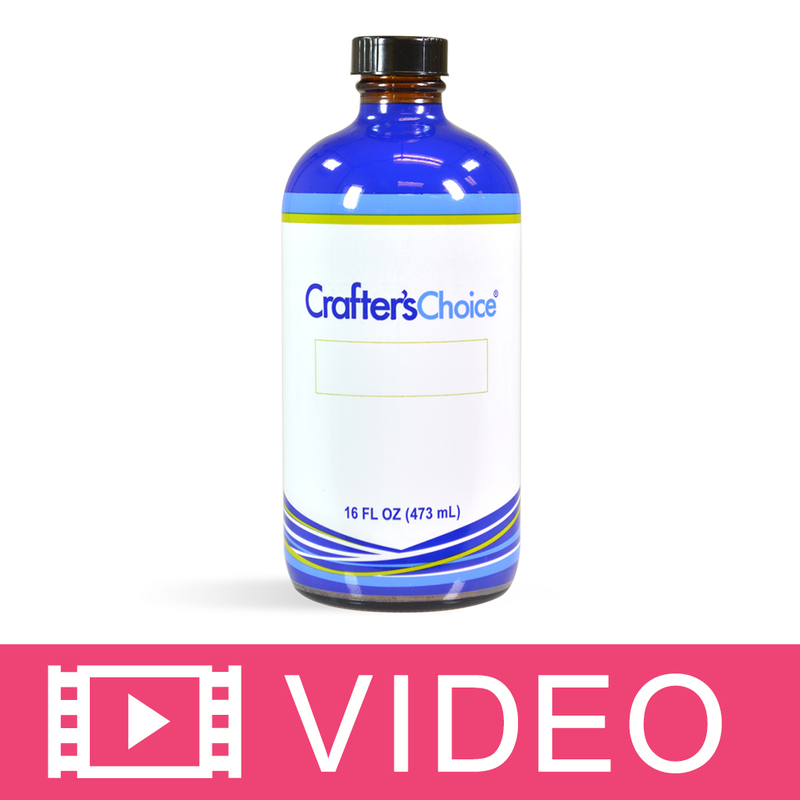 We suggest using the Crafter's Choice Vanilla Color Stabilizer - Lotions & Washes (it is also available for MP Soap and CP Soap). 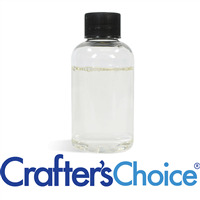 The stabilizer prevents the vanilla in fragrance oils from turning lotions and liquid wash formulations brown. It will not prevent color changes due to ingredients other than vanilla. We use it often because it works very well. "Is this product safe to use in lip balm?" Staff Answer The IFRA Document states in section 1.A it is Not Allowed in lip products. "Hi.how do I make a soy container candle that has a strong smell when its not lit but also has a strong smell while its burning." Staff Answer There are several factors that can affect the cold and hot scent throw of a candle. Some of the factors can be type/amount of fragrance, wax, wicks, and containers. 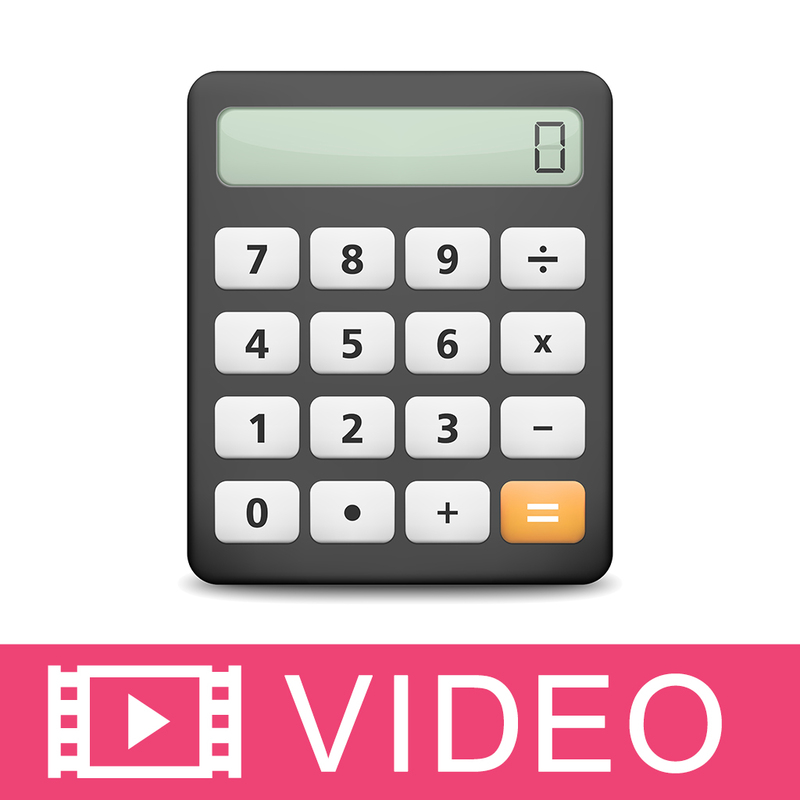 It is best to check with the suppliers of these products for their specifications.